From your initial visit to Lennar.com or one of our Lennar Welcome Home Centers, to your first day of home ownership and beyond – it is our pledge to be there every step of the way in the purchase of your new home. Our Associates are dedicated to providing you with Total Lennar Care (TLC). TLC is a willingness to do the extraordinary every day for our Customers, and make the home buying process a true celebration. In addition, your exceptional home buying experience doesn’t stop at your closing. Even after you’ve settled in, we strive to continue to keep you 100% satisfied in your new home, with regularly scheduled visits from our Customer Care Team. It’s about going above and beyond the superior standards and exceptional service that our Customers expect and deserve from us. Lennar began in 1954, as F&R Builders, co-founded by Gene Fisher and Arnold Rosen. In 1956 Leonard Miller joined F&R by investing $10,000 and replacing Gene as Arnold’s partner. Through Leonard’s guidance and Arnold’s attention to construction, our hallmark traits of Quality, Value and Integrity were born. 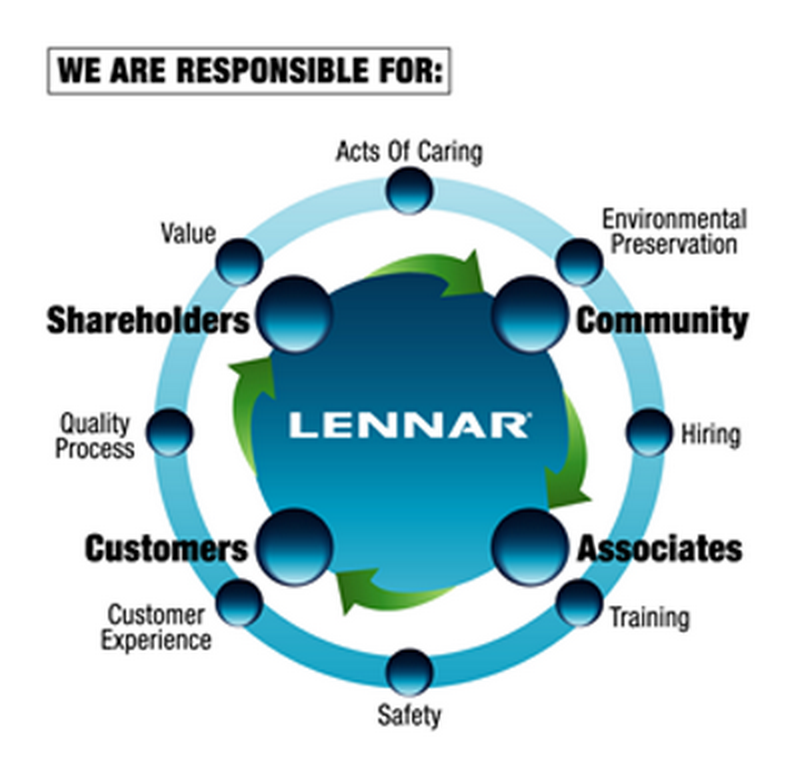 In 1971 we became a public Company under the corporate banner of Lennar, a combination of Leonard and Arnold’s names. Through the years, Lennar has grown to a disciplined and spirited team of Associates who have fine-tuned the art of identifying and capturing opportunities to grow and become an even better Company. The result is a long proven track record of strategically timed and impeccably executed expansions into new markets.